Product prices and availability are accurate as of 2019-03-14 22:00:21 EDT and are subject to change. Any price and availability information displayed on http://www.amazon.com/ at the time of purchase will apply to the purchase of this product. Do not let your eyes deceive you. 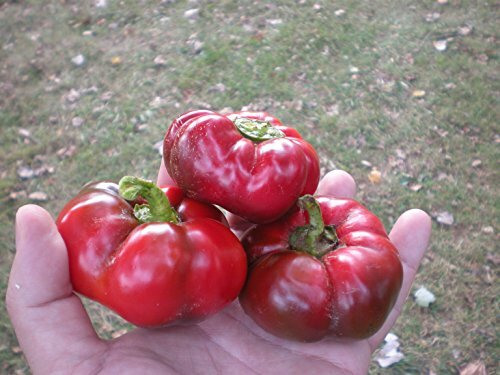 These thick walled medium heat peppers look like tomatoes but are in fact peppers! They are slightly hotter than a jalapeno and have a sweet fruity taste. They are very pleasing peppers and a nice rare find.